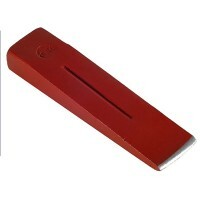 Faithfull Steel Log Splitting Wedge Features Length 8in / 200mm. Weight: 3 1/2lb. 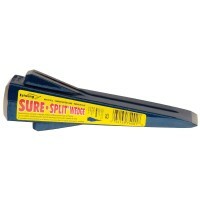 ..
Faithfull Steel Log Splitting Wedge Features Length 250mm (10in). 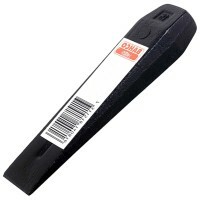 Weight: 5lb (2.5k..
Bahco Wood Splitting Wedge Features Length 9in - 230mm. Width: 46mm. 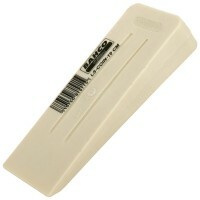 Depth: 2..
Bahco Wood Splitting Wedge Features Length 260mm ( 10 1/4in). 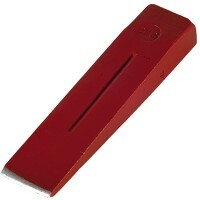 Width: 56mm (2 1/4in)..
Bahco Wood Splitting Wedge Features Length 10in - 250mm. Width: 52mm. 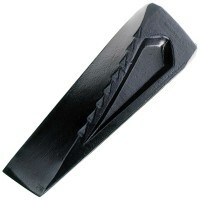 Depth: ..
Bahco WT-20 Twisted Wood Splitting Wedge Features Length 8 1/2in - 220mm. Weight 2k..
Estwing Sure-Split Wedge Features The Estwing professional wedge is the correct tool for ..
Bahco Chainsaw Wood Splitting Felling Wedge Features Length 9 1/2n - 240mm. Weight ..
Bahco Chainsaw Wood Splitting Felling Wedge Features Length 7 1/2n - 190mm. Weight ..